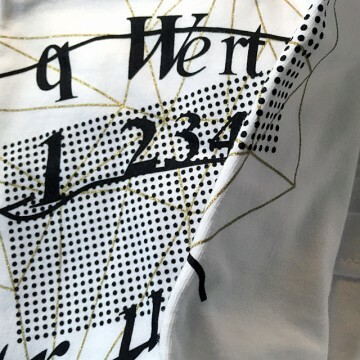 All garments currently available were released by our Stereohype label, two in collaboration with Laurence King Publishing and all but one was designed by design studio FL@33. 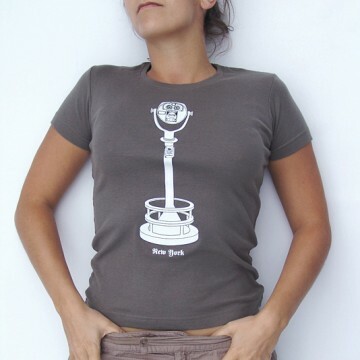 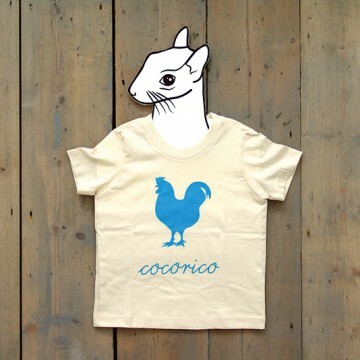 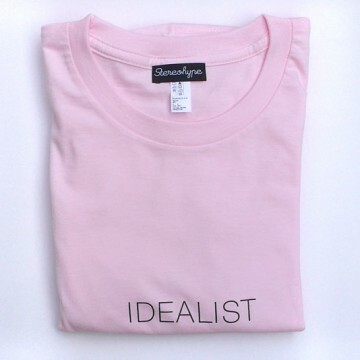 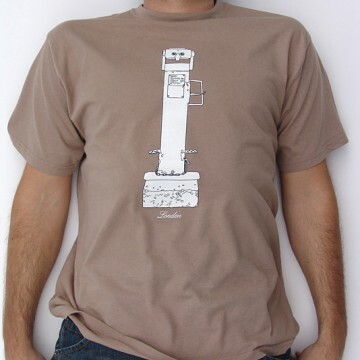 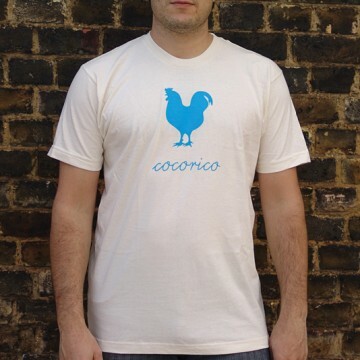 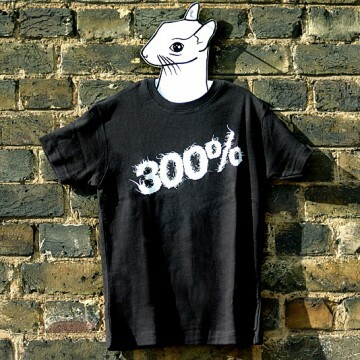 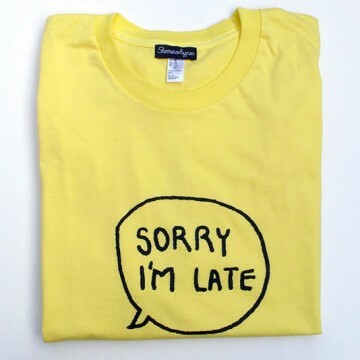 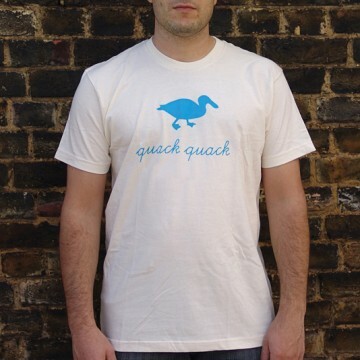 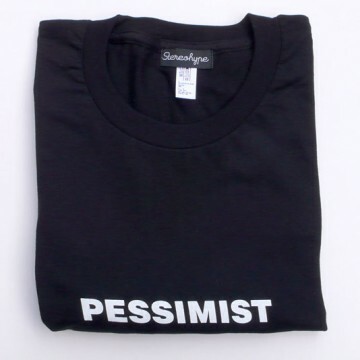 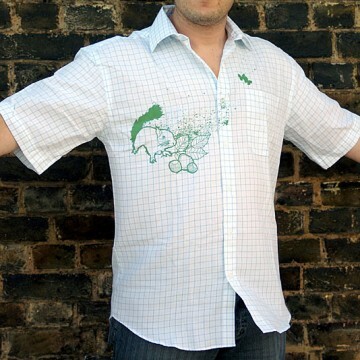 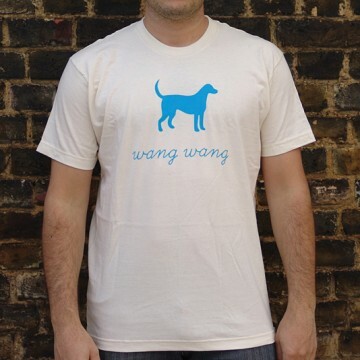 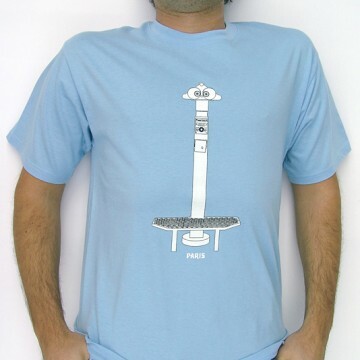 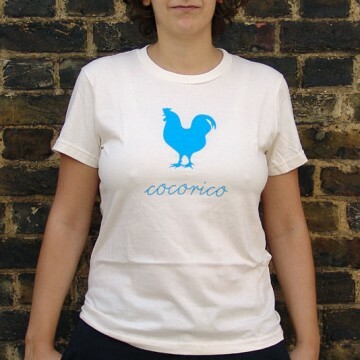 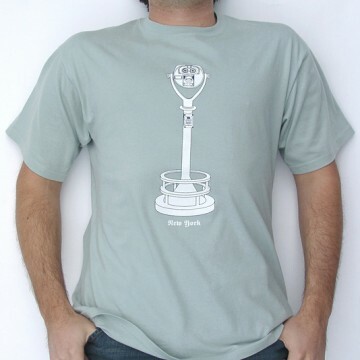 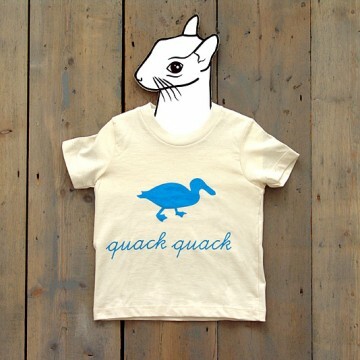 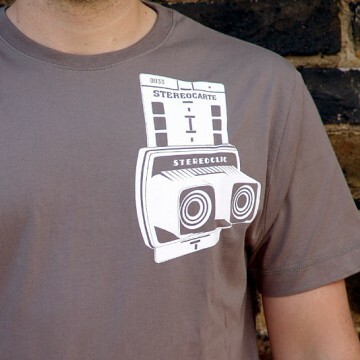 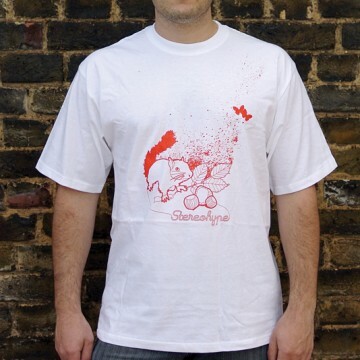 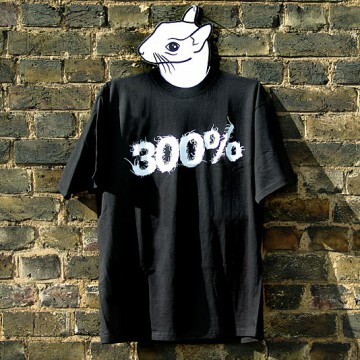 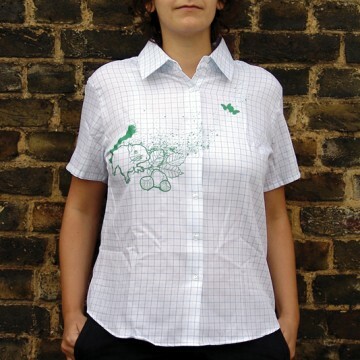 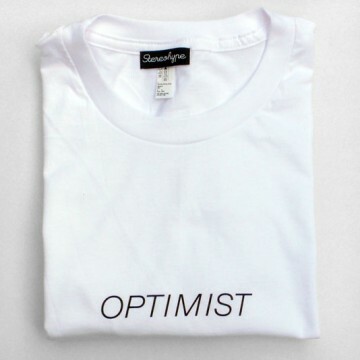 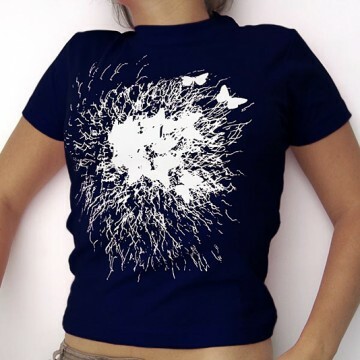 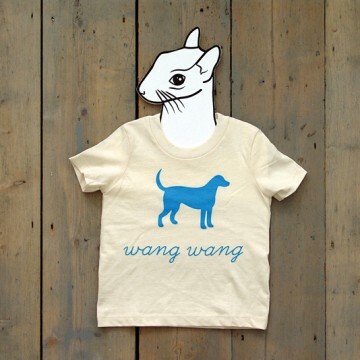 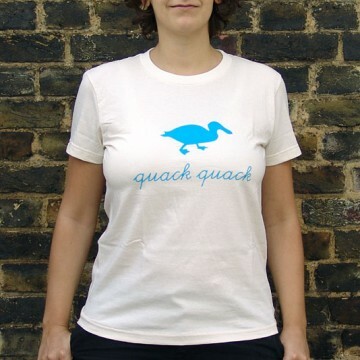 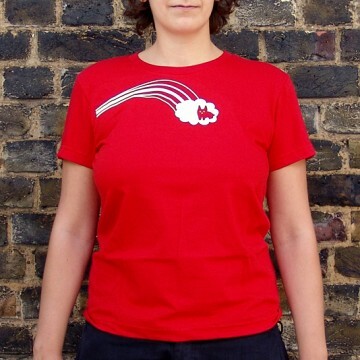 T-shirts are all high-quality cotton garments that were screen-printed in the UK. 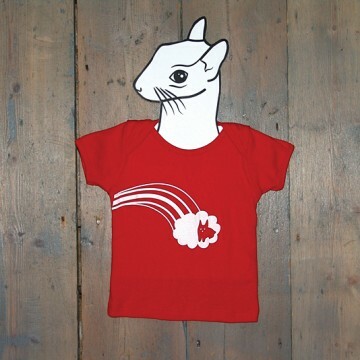 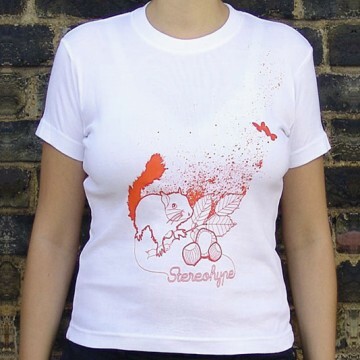 From squirrels to speech bubbles, rabbits to dogs, ducks to telescopes – Stereohype's T-shirt motifs include a selection of our most popular button badges such as FL@33's Optimist Series and Richard J. Kirk's Sorry I'm Late but also bzzzpeek.com support T-shirts, Stereohype's various squirrel motifs and numerous other, often whimsical artworks. 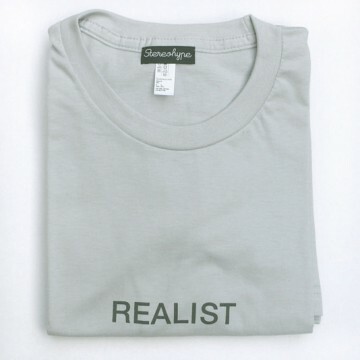 While the few remaining items from our back catalogue were printed on garments by various different respectable T-shirt manufacturers, all our more recent releases were printed on American Apparel T-shirts that are guaranteed sweatshop-free. 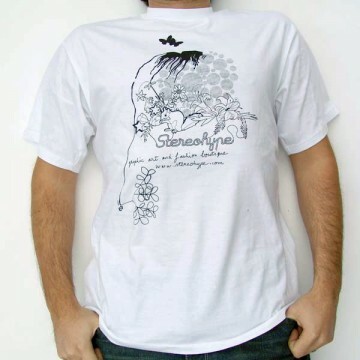 All our T-shirts come with a free button badge – either theme-related or a randomly selected surprise badge from Stereohype's growing collection.